As mentioned earlier, the Ultrasonic Sensor is the main unit (component) that is responsible for measuring the distance. 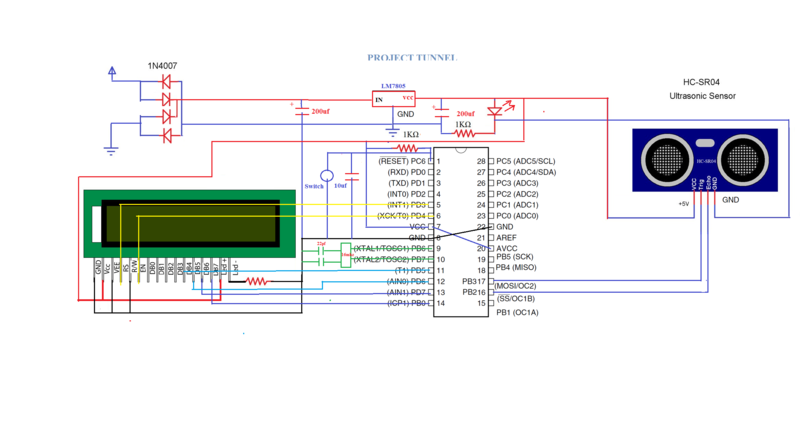 ATmega8 acts as the main controlling unit that will control the Ultrasonic Sensor, calculate the distance and display on LCD. The principle of the circuit is as follows: The Ultrasonic Sensor sends acoustic pulses and the ATmega8 measures the interval of each reflected signal. Based on this time interval, ATmega8 then calculates the distance of the object. then display on LCD if the distance between the sensor and object is less that a certain range. 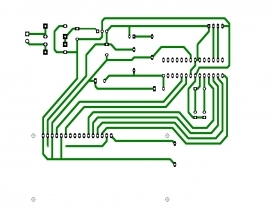 The design of the ATmega8 Based Car collision detector sensors Circuit is very simple. Starting with the Ultrasonic Sensor, it has 4 pins: VCC, TRIG, ECHO and GND. 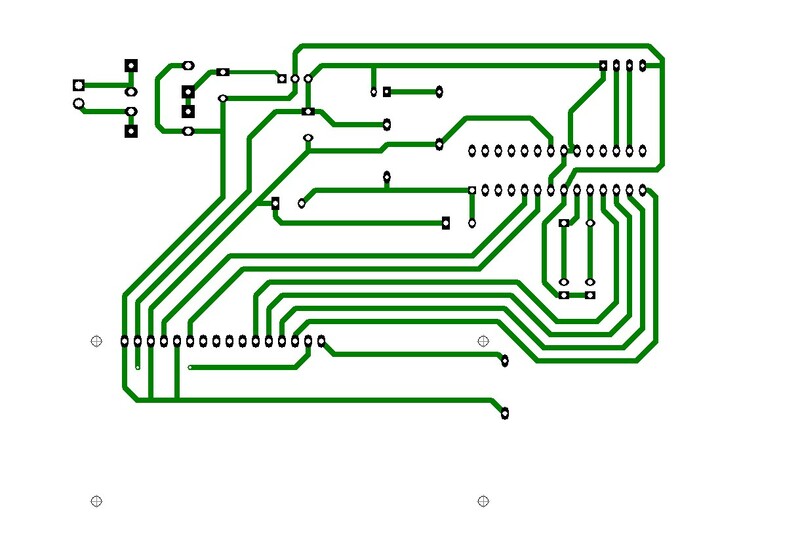 The VCC and GND are connected to +5V and GND of the power supply while the TRIG and ECHO are connected to Digital I/O pins 17 and 16 of ATmega8 respectively.